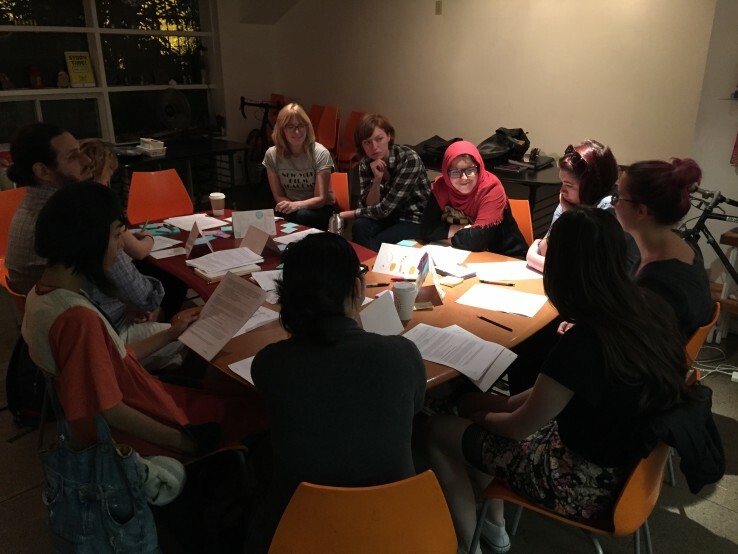 Interested in volunteering with Story Planet creative arts programming? Join us for a fun, informative, out-of-this-world orientation on Monday, February 1st at 5:30 pm. The orientation will take place at Story Planet (1165 Bloor Street West). Before confirming attendance, we do ask that interested volunteers fill out a volunteer application on our website www.storyplanet.ca. This is a great way for us to learn more about you and your experiences and can get in contact with your 3 references. Finally, because we work with children on a daily basis, we do require an updated police check for all volunteers. All forms will be provided at Story Planet but we do ask that participants bring $20 for the processing fee. If you are interested, contact Michelle and Sally at volunteer@storyplanet.ca. Please note we will check your references before inviting you to the orientation. If you miss the deadline, email us anyway so we can invite you to our next orientation event! 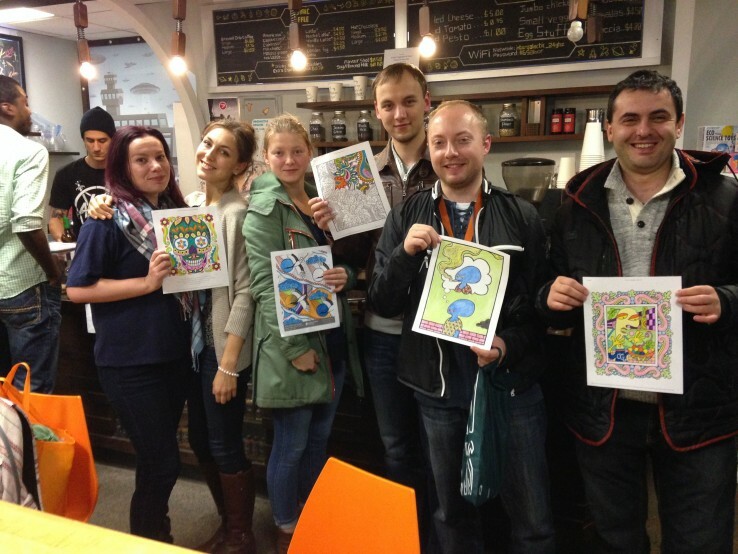 Our Adult Colouring and Wine nights are getting popular! Merci, ICI Radio-Canada! These events help fund awesome arts and literacy programming for kids and teens like our Lift Off after school program, which focuses on arts-based literacy and homework support for students. If you’d like to join in on the fun, click here to get tickets for our next event is on Friday, January 29 before they sell out! Our Parent-Child Mother Goose Program is officially in motion, and it’s a soaring success! Participants are having fun singing songs, learning, sharing favourite rhymes, and reminiscing about their childhoods. We’d like to extend a big thank you to all the adults and of course, our fun loving babies who made this program a great success! The Parent-Child Mother Goose Program is currently at capacity, but if you would like to be added to the waiting list, contact Michelle at volunteer@storyplanet.ca. 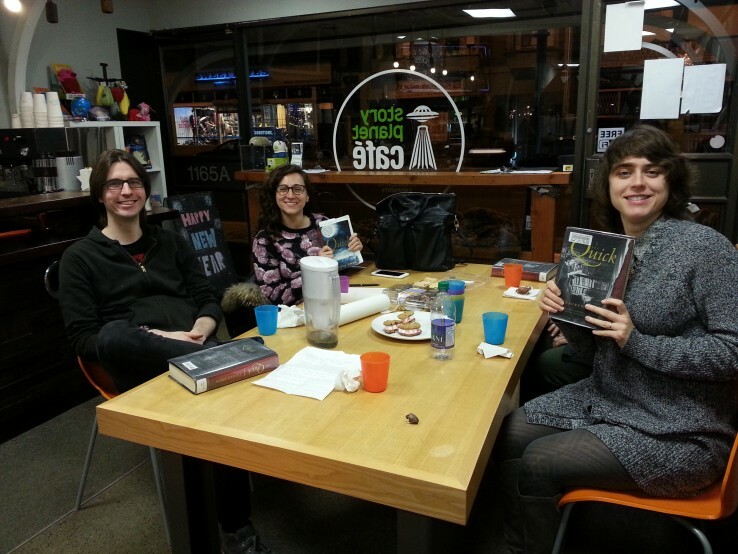 Our Story Planet Afterlight Book Club is officially one year old this month! Since starting out, we’ve read all kinds of books from non-fiction explorations of psychopaths and Scientology to a weird, trippy sci-fi book about vociferous flora. As a fun addition, we’ve established a strong thematic snack game, creating dishes, and treats that fit the book we’re discussing. So, basically, it’s the most fun ever. All are welcome (even if you don’t finish the book!). During our next meeting on Wednesday, February 6 at 6:30 p.m., We’ll be talking about Frog Music by Emma Donoghue. Click here to find out more about the book and RSVP on our Meetup page! Our Lift Off after school program is going back into orbit next week with a whole new day added on! Starting Wednesday, January 27, we’ll be providing free after school homework help to students in grades 2-6 on Wednesdays too, from the time school finishes for the day until 5:30 p.m. Registration is determined by a needs-based lottery system. Email noorin@storyplanet.ca for more information and to sign up! Starting January 23, kids in grades 4-6 are invited to join storyteller Sage Tyrtle in twisting their favourite folktales into original stories that they’ll eventually perform in front of an audience. Through fun and high-energy games and lessons on storytelling and editing, students will learn a whole new approach to storytelling and connecting with their audience. This workshop will run every Saturday from January 23 to March 5, 2015 from 10:00-11:30 a.m. Cost of registration is pay-what-you-can. Contact Sage at sagetyrtle@gmail.com to sign up!